Rhyolite is a volcanic rock similar in its chemistry to granite. Most rhyolites are porphyritic, with larger crystals in a fine-grained matrix of crystals too small to been seen with the naked eye. 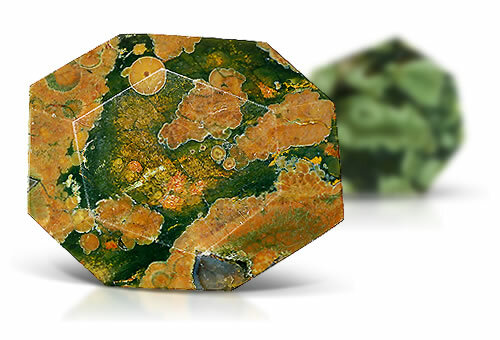 Rhyolite is silica-rich, giving it a light range of color, often found with banding throughout. This beautiful stone is often used in ornamentation. Rhyolite might show banding or spherical growth. If stones are viewed in cross-section using magnification they typically show crystalline growth and may show radiating needle patterns.